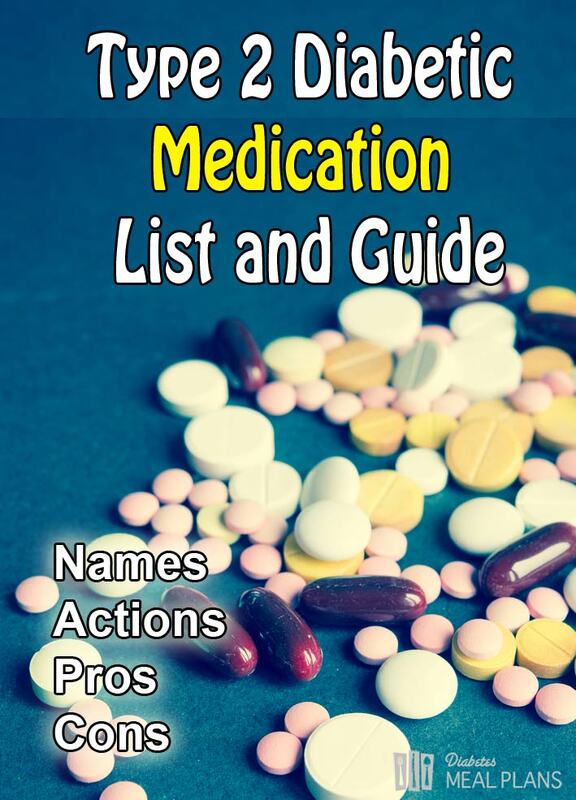 While there are way too many type 2 diabetes medications to list in a single article, I will briefly describe some of the most common ones as well as their generic names and brand names in parenthesis. What you’ll find is that the generic terms within the same category of medications often have similar roots, which makes it easier to remember some of them. Sometimes insurance companies won’t cover the particular medication you’d like, but will cover another medication in that same class that may work very similarly. The most commonly used sulfonylureas used today are: Glipizide (Glucotrol), Glyburide (Micronase, Glynase, Diabeta), and Glimepiride (Amaryl). Sulfonylureas are some of the oldest diabetic medications. They work by stimulating the beta-cells in the pancreas to produce more insulin. They are taken 1-2 times daily with meals and work to lower blood sugar independently of food intake. For example, they will lower blood glucose regardless of the meal eaten or if a meal is skipped, which makes them more likely to cause hypoglycemia. Both fasting and post-meal blood glucose are targeted in these meds and the average A1c reduction with the addition of sulfonylureas is 1.5-2%. The main advantage of sulfonylureas is that they are very inexpensive, taken orally, covered by nearly all (if not all) insurance companies. Sulfonylureas can cause weight gain and hypoglycemia. Additionally, they may be linked with ischemic preconditioning, which may lead to heart disease or cardiac events over time. And they generally stop working effectively over time. There is only one medication in this class and that is glucophage (Metformin). Glucophage works by decreasing the glucose the liver and muscle put out into the bloodstream. It also seems to help improve the body’s sensitivity to insulin so that it can be more easily absorbed into tissues. 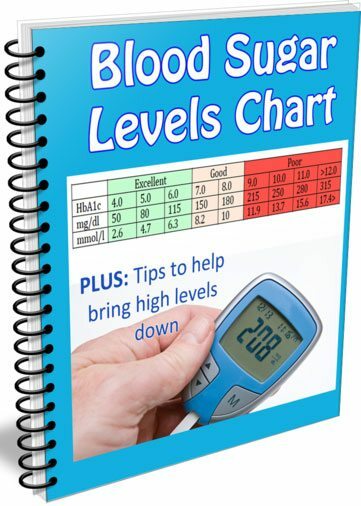 The average A1c reduction with the addition of Metformin is 1.5% and it primarily targets fasting blood glucose. Glucophage is a great medication (more on that here), it is inexpensive, and it does not cause hypoglycemia or weight gain (unlike sulfonylureas), which is why it is indicated as a first line medication for type 2 diabetes. It is taken orally. The only real disadvantage of Metformin is that it can cause gastrointestinal upset in some people. This is usually temporary–just the body getting used to the medication–and usually subsides after a week or so. Starting at a very low dose and gradually increasing the dose in increments will help minimize discomfort. Additionally, since Metformin reduces a substance known as “intrinsic factor” – key to absorbing Vitamin B12,” those taking it, especially the elderly, should have their B12 levels checked periodically. Since Metformin is cleared by the kidneys, it should not be taken by those with kidney disease. There are several types of DPP-IV inhibitors: Sitagliptin (Januvia), Saxagliptin (Onglyza), Linagliptin (Tradjenta), and Alogliptin (Nesina). DPP-IV inhibitors work by inhibiting an enzyme that breaks down GLP-1 – a very important gut hormone needed for glucose metabolism (see below). They primarily target post-meal blood glucose and have a modest HbA1c lowering effect of 0.7%. DPP-IV inhibitors do not cause weight gain or hypoglycemia. They are a simple oral medication that are well tolerated. DPP-IV are a bit more expensive than the first 2 and may or may not be covered by health insurance companies. They have been linked with edema (fluid retention) and pancreatitis. Exenatide (Byetta/Bydureon), Liraglutide (Victoza/Saxenda) Lixisenatide (Lyxumia), Albiglutide (Tanzeum), and Dulaglutide (Trulicity) are GLP-Agonists. Bydureon and Saxenda are extended release forms of the medication that are given weekly rather than daily. GLP-1 Agonists promote and increase a key enzyme produced by the human gut called GLP-1. This gut hormone causes a glucose-dependent insulin response (it sends a signal to the beta cells to make insulin, but unlike sulfonylureas is not arbitrary so will not induce hypoglycemia) and suppresses glucagon (the hormone that causes blood sugar to rise). Additionally, GLP improves insulin sensitivity, protect beta cells (they are the cells that make insulin) from dying, and improve satiety (feeling of fullness and satisfaction) after eating. GLP-1 Agonists target both fasting and post-meal blood glucose and have an A1c lowering effect of 0.8-2%. GLP-1s often have a weight loss effect and there is no hypoglycemia risk unless taken with other glucose lowering medications. They are very effective at lowering post-meal blood glucose. The main disadvantage when compared with the previous medications is that GLP-1s are injectable. The active ingredient is broken down by stomach acids so they cannot be taken in pill form. Gastrointestinal side effects have been observed in some, but they are rare. There has been a thyroid cancer link in rats but this has not been observed in humans. There are three SGLT-2 Inhibitors: Canagliflozin (Invokana), Dapagliflozin (Farxiga), Empagliflozin (Jardiance). SLGT-2 inhibitors work by decreasing the amount of glucose the kidneys reabsorb, increasing the urinary output of glucose – in other words, you pee out some of the excess sugar. They target fasting glucose and have an A1c lowering effect of 0.5-1%. SLGT-2s do not cause hypoglycemia and have a slight weight loss. Additionally, they are a simple oral medication and may improve blood pressure. SGLT-2s can increase risk of genital and urinary infections as well as increase urination. Because they alter fluid volume and lower blood pressure they can cause dizziness. Finally, they have been linked with elevation in LDL cholesterol levels. If that isn’t enough medications to keep your head spinning, consider that multiple combinations of any number of these medications are available as well. This helps reduce pill load, which can be difficult especially in the elderly. As an example: Janumet is a combination of Januvia and Metformin. Metaglip is a combination of Metformin and Glipizide. There are several classes of diabetes medications categorized by the way they work. They are very effective at lowering blood glucose by decreasing liver output and increasing sensitivity. However, Avandia has been shown to increase risk for heart attacks and has been restricted by the FDA and rarely used since. These medications tend to cause weight gain as well. These are Precose and Glyset. They are starch blockers, which means they block absorption of starches at meals. While this sounds like a great deal, it usually results in a lot of bloating and discomfort from all the unabsorbed starch. Parlodel is a dopamine agonist recommended for use in diabetes. The way it works is not understood and I’ve honestly never seen a patient on this. Examples are Prandin and Starlix. These work a lot like the Sulfonylureas but much more rapidly and often cause hypoglycemia. They may result in weight gain as well. So there you have your basic non-insulin medications! Be aware that as we continue to research and develop new formulas, additional options will be available in the future. This is an ongoing field of study and the pharmaceutical tools available for people with type 2 diabetes are incredible compared with 50 years ago! If you have any questions about diabetic medications, please leave them below and I'll do my best to answer them. I’d like to ask about Gliclazide (Diamicron MR) that I’ve used everyday, 60mg=2/day before morning and evening meal. Is it safe from “ischemic preconditioning, which may lead to heart disease or cardiac events over time”?, because Gliclazide was developed from Sulfonylureas. Always check with your doctor concerning medication questions, Nim! He or she should be able to explain it in plenty of detail and advise other options. Information is concise and very well written for a non medical person to understand. What do you think about the drug synjardy? My doctor wants me to take an insulin shot before bedtime to reduce my morning readings (currently fluctuating 6.2-9.8. I am resisting this move. In your opinion should I give in and take this pre bedtime injections? Sorry, but we can’t advise you specifically, medically on this site, but simply provide information. I wonder what it is that is causing you to resist your doctor and would suggest bringing that up in discussion at your next visit. Patient-centered medical care should take into consideration your questions, concerns and input.